The Sale is now on! 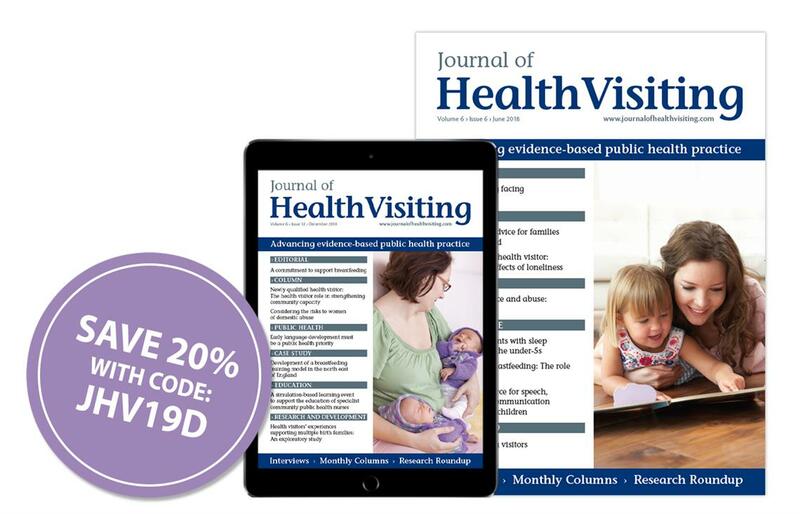 You can save up to £28 on your subscription - order now with code JHV19D. 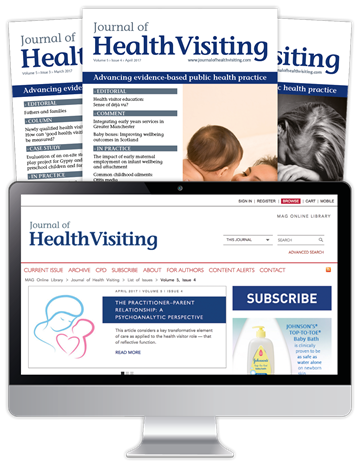 Journal of Health Visiting (JHV) is the only monthly, peer-reviewed journal that is dedicated solely to the UK's health visitors. 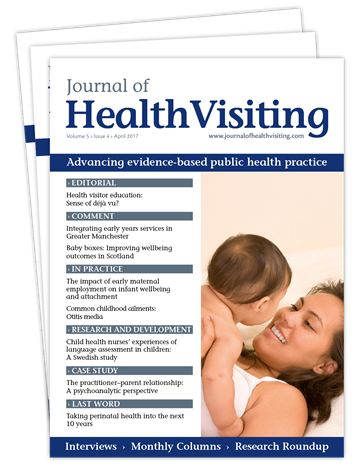 JHV publishes evidence-based, accessible articles providing the professional and educational support that health visitors need to assist their own development, improve standards of care, and meet the health needs of the general public. JHV also offers subscribers further support through an online programme of 12 reflective practice CPD modules per year. This once-a-year offer ends on 21st June (11:59PM GMT). *Online CPD not included with a Print Only subscription. Offer applies to annual/quarterly subscriptions only.